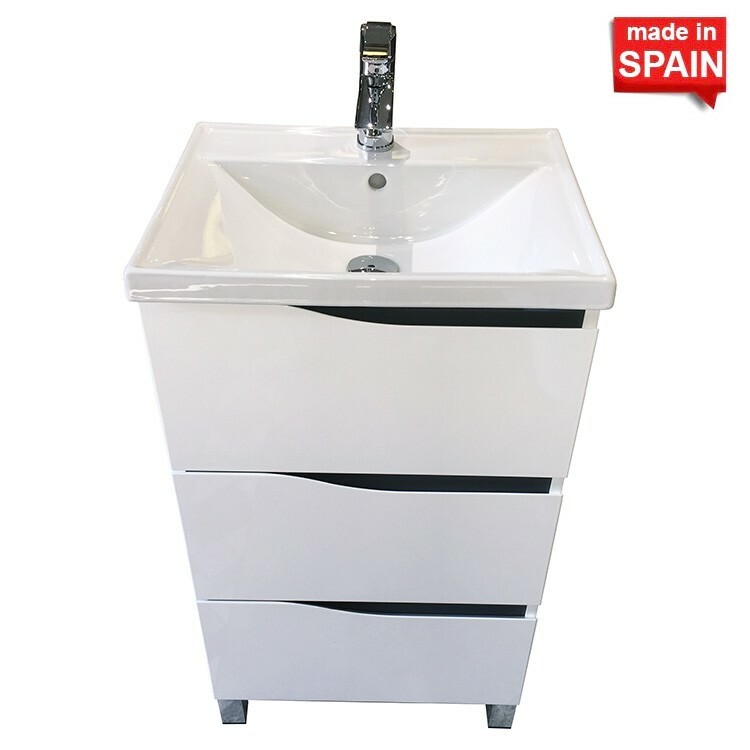 Give your bathroom a glamorous makeover by adding this New Bathroom Style Exclusive Modern Bathroom Vanity. 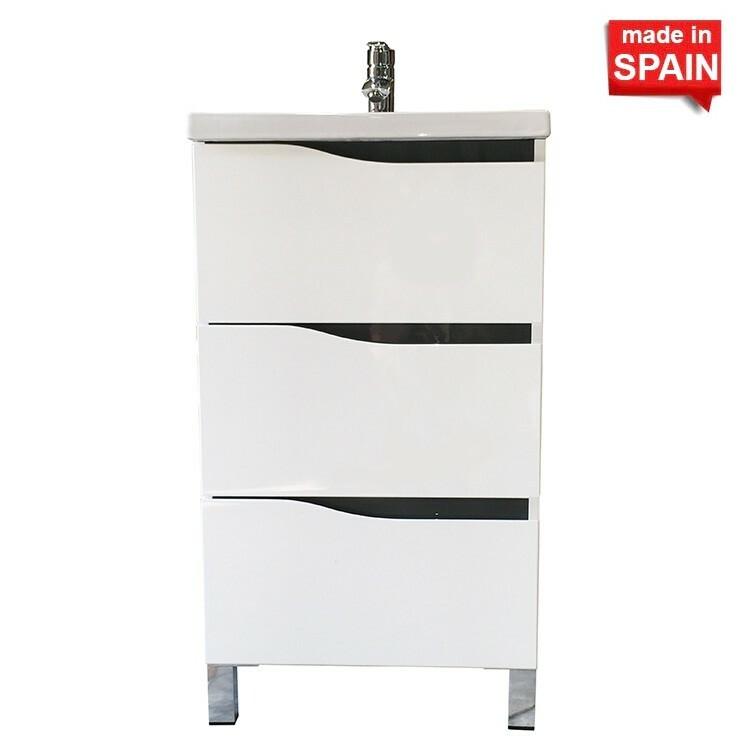 This is highly luxurious bathroom vanity is made in Spain by “Socimobel” company. 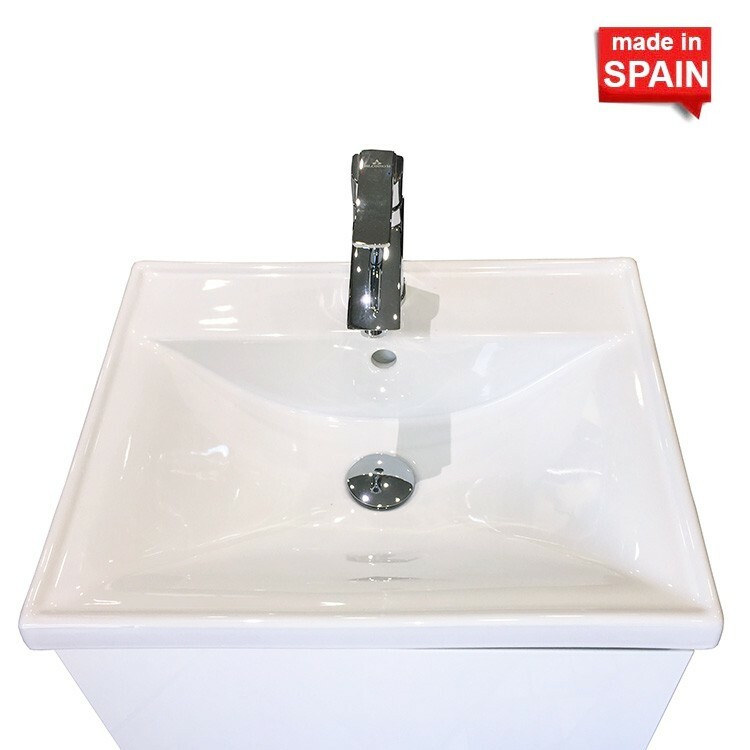 It is made out of highest quality MDF/DM material on the market. 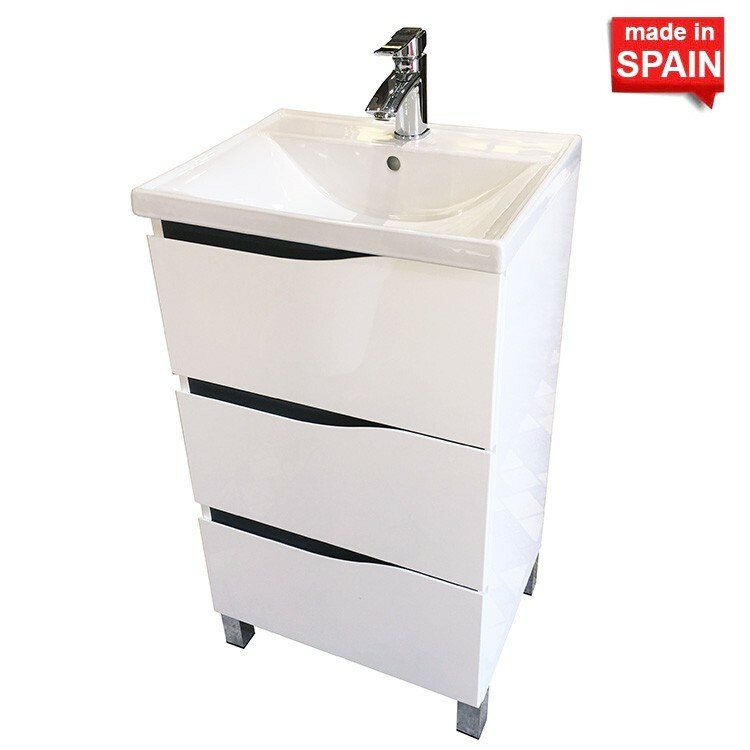 It has three self-close hinge drawers and four chrome legs. 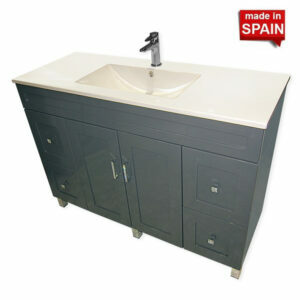 Each leg is adjustable, so if you have an uneven floor, then this vanity is for you. When you open the doors, the inside of the vanity is grey. The shelves are adjustable to any height and are easy to take off and to put back on. The back of the vanity is empty for easier plumbing installation. 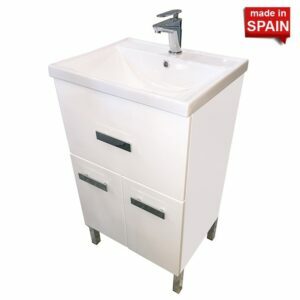 This Vanity can fit in any ultra-modern design view in your bathroom. 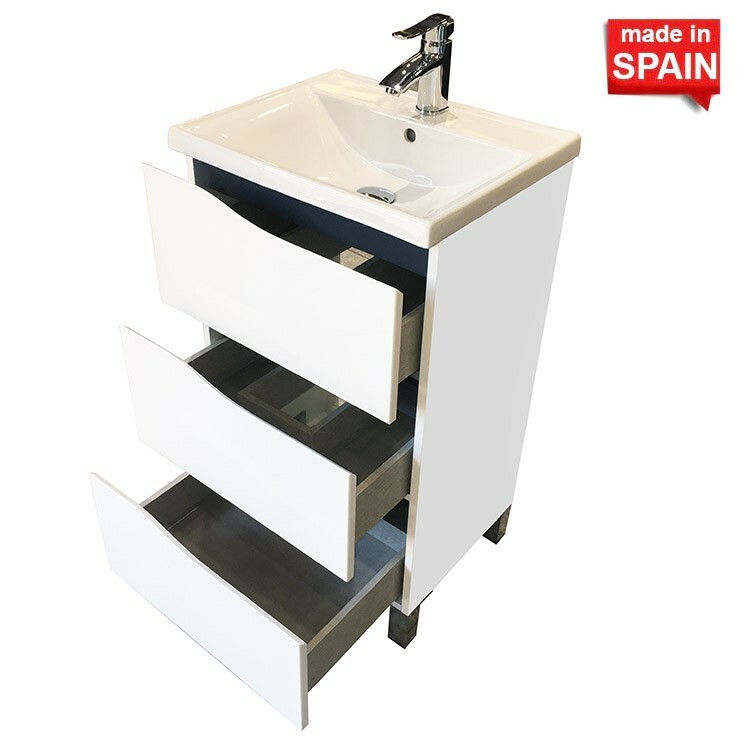 With a minimalistic and modern design this vanity is perfect for smaller space. The “Box” bathroom vanity offers ample storage for all of your washroom necessities.